Winner of 20 Grammy Awards and a 2018 NEA Jazz Master recipient, jazz guitarist Pat Metheny has been at the forefront of progressive and contemporary jazz for more than 40 years. Metheny has won countless polls as “Best Jazz Guitarist” and awards, including three gold records for (Still Life) Talking, Letter from Home, and Secret Story. He has also won Grammy Awards spread out over a variety of different categories including Best Rock Instrumental, Best Contemporary Jazz Recording, Best Jazz Instrumental Solo, Best Instrumental Composition and at one point won seven consecutive Grammies for seven consecutive albums. In 2015 he was inducted into the DownBeat Hall of Fame, becoming only the fourth guitarist to be included (along with Django Reinhardt, Charlie Chrisitan and Wes Montgomery) and its youngest member. Metheny has spent much of his life on tour, often doing more than 100 shows a year since becoming a bandleader in the ’70s. 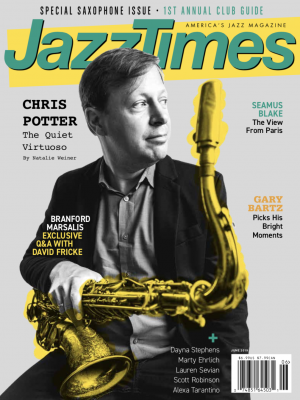 He continues to be one of the brightest stars of the jazz community, dedicating time to both his own projects and those of emerging artists and established veterans alike, helping them to reach their audience as well as realizing their own artistic visions.